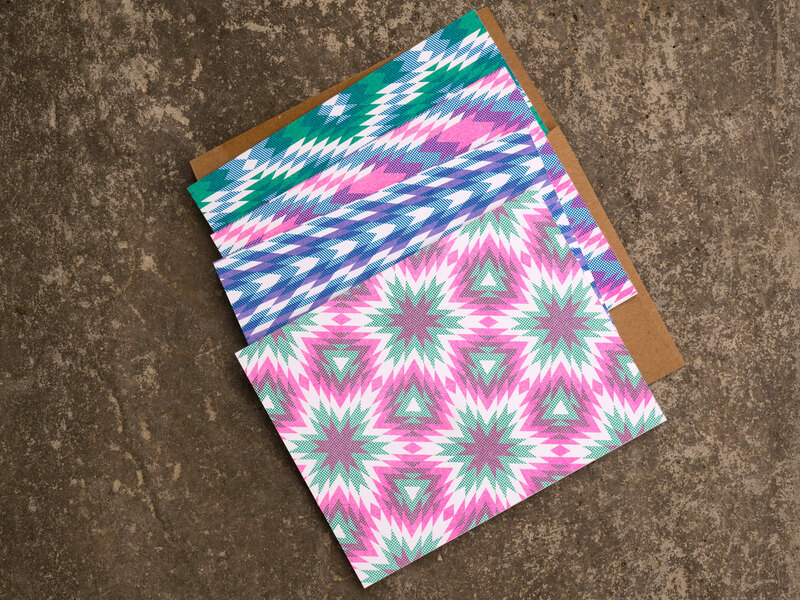 Our greeting cards, gift wrap, and paper goods are vivid and eye-catching, evoking the shapes and symmetries of the natural world interpreted through the visual style of comics, zines, and graffiti. 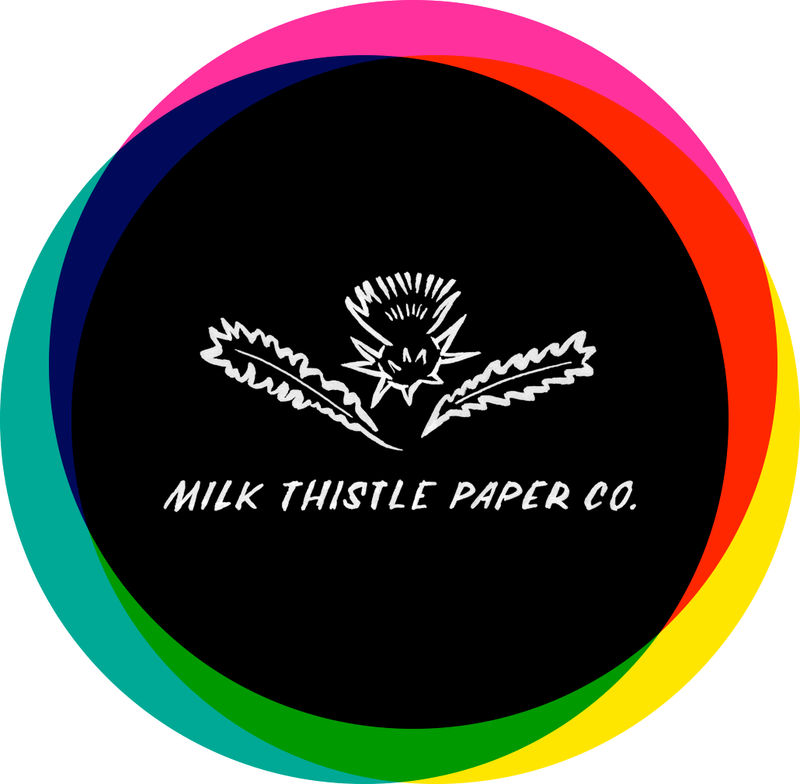 With a focus on local, sustainable production, we take pride in the fact that all our cards are printed with soy-based inks on 100% recycled paper. We pair them with unbleached, 100% post-consumer recycled envelopes, and package them in clear protective sleeves that are made from plants and fully compostable. Our products are designed in Guelph, Ontario and printed in Oakville on Canadian paper certified by the Forest Stewardship Council.